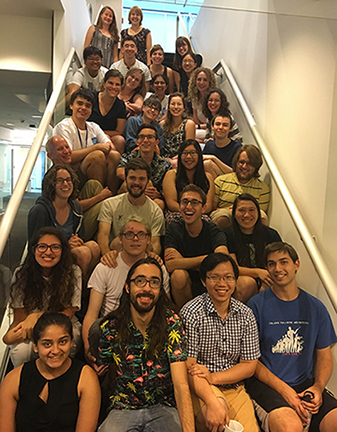 The 2016 Summer@ICERM program is designed for a select group of 14-16 undergraduate scholars. Students work in groups of two to four, supervised by faculty advisors and aided by teaching assistants. The faculty advisors present a number of research topics that are centered around modeling, dynamical systems, and stochastic systems. Examples include stripe formation in zebrafish, the structure of roll patterns that arise in buckling and vegetation patterns, and the dynamics of planar spiral waves. Tackling these problems will require a combination of analytical and computational approaches. Students form research groups to work on these problems, give talks about their findings, and write up their research into a paper at the end of the program. 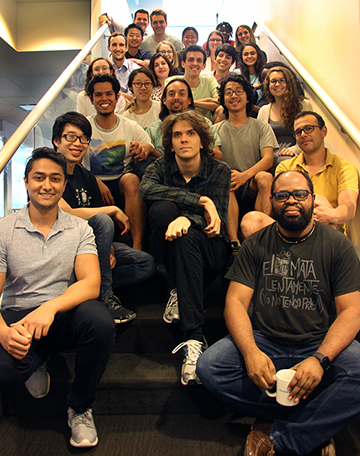 During the 2016 Summer@ICERM program, the faculty organizers will describe a number of open-ended problems at the interface of applications, modeling, and deterministic and stochastic dynamical systems. 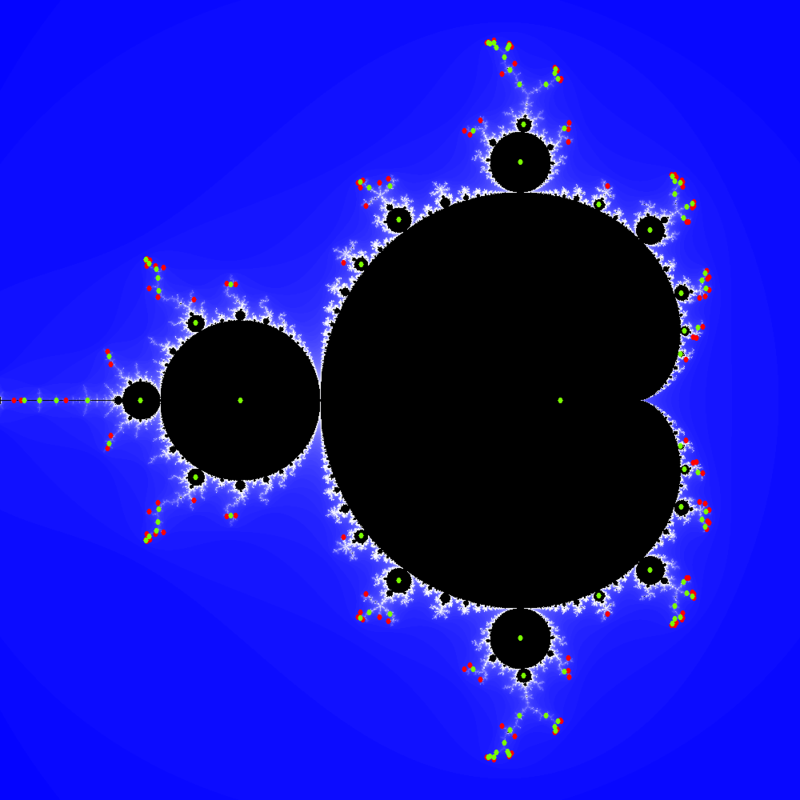 These problems arise in current research, are amenable to analysis and computation, and may be approached from a number of different angles. Participants will be expected to gain intuition into some of these problems via analysis, computer experimentation, and visualization. 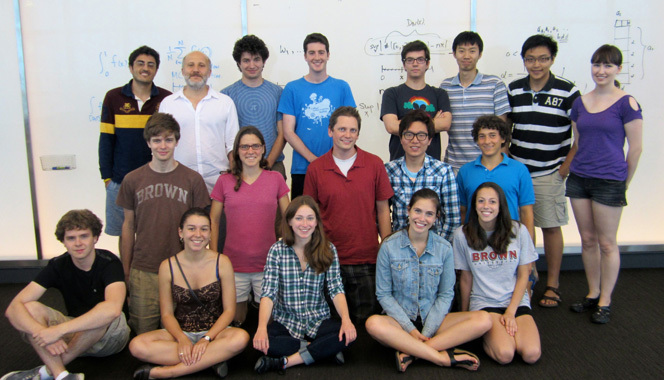 Brown University students (only) should apply via the Brown I-TEAM UTRA for "Dimensions and Stochastics". Abbott, D. Catey, N. Chandra, B. Dubois, and F. Lim, and A. Volkening plan to submit a paper on “Stripe formation in zebra fish fins”. T. Aougab, M. Beck, P. Carter, S. Desai, B. Sandstede, M. Stadt, and A. Wheeler. "Isolas versus snaking of localized rolls". 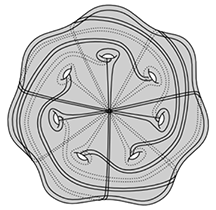 Journal of Dynamics and Differential Equations (at press). J. Bujalski, G. Dwyer, T. Kapitula, Q.-N. Le, H. Malvai, J. Rosenthal-Kay, and J. Ruiter, "Consensus and clustering in opinion formation on networks". Phil. Trans. Royal Society A 376: 20170186 (2018). M. Morrissey and J. Collignon, "Propagation of lead in the human body", SIAM Undergraduate Research Online 10. M. Beck, T. Aougab, P. Carter, S. Desai, B. Sandstede, M. Stadt, and A. Wheeler. Submitted a paper entitled "Isolas versus snaking of localized rolls”. T. Kapitula gave talks at the AMS SE Sectional meeting in Charleston, SC, and at a seminar at Michigan State U.